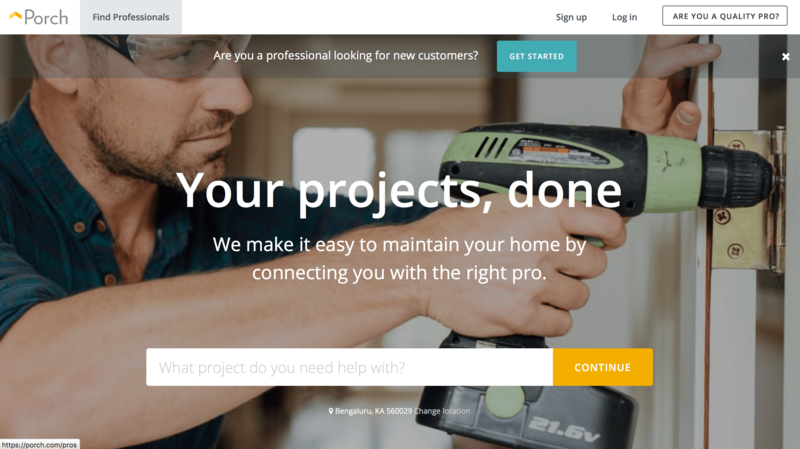 What the business is about : Porch is a company that connects home owners to professionals in the field of contracting, plumbing, painting and more. The are not just another middle man, but a team of people who screen and filter out the best professionals available, along with caring about the the customer's home, and their requirements. They wanted their website to convey their expertise in the domain which gives them the edge over their competitors.